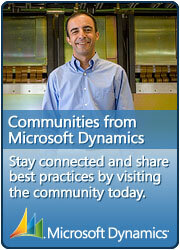 The Sonoma Partners have done a good 10 video course on the new features in CRM 2011. They concentrate on the features you use and change within Microsoft CRM, so these are the customizations a consultant would probably make rather than a CRM developer. You may be able to answer a doubt I have: in CRM 4 I cannot drill down information more than 1 level (the object itself and one attachement). Is in CRM 2011 possible to drill more levels? I’m not sure what exactly you are drilling down to and where/what? Let me make an example. I’m in CASES main view. Into a CASE object I specify the COMPANY (Customer). In the COMPANY object I have a link to the OWNER of the company. In the OWNER object I have the field ‘Manager’. As far as I understand, in CRM 4 I cannot create a CASES view selecting all cases related to a COMPANY which OWNER reports to a specific MANAGER. I can only get a list of CASES for a specific Company OWNER. I hope I explained what I mean…. Not sure why you asked this question here when it is completely off topic for this blog post. There is nothing stopping you creating such a view – do an Advanced find for Cases where the customer account is an account where the owner is you (ie “Equals current user”) or some specific person. Save the view as something like “My customers’ cases” so you can see it in your drop down under Cases. If you did use “current user” then you could share the same view with others and they will see the cases for their customers instead.